… or as I like to call it, “Jill tries it so you don’t have to”. Have you seen this floating around Pinterest? 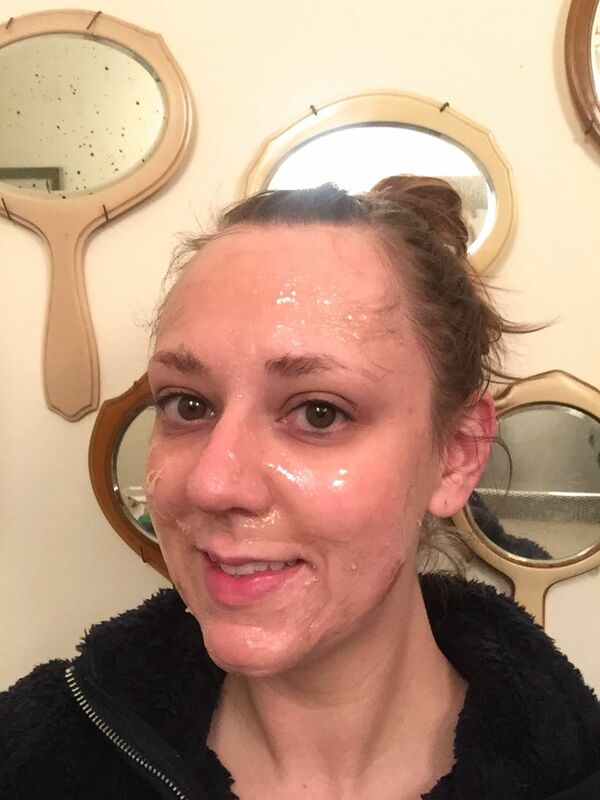 Basically it’s a DIY Bioré strip recipe, or blackhead removal peel off mask. 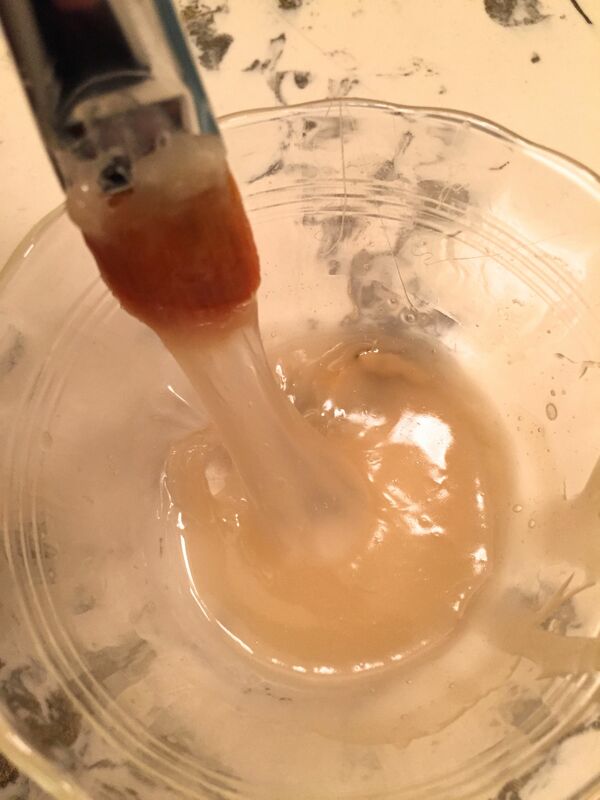 You mix gelatin and milk, heat it up so it’s goopy, apply it to your face and let it dry, then peel it off. 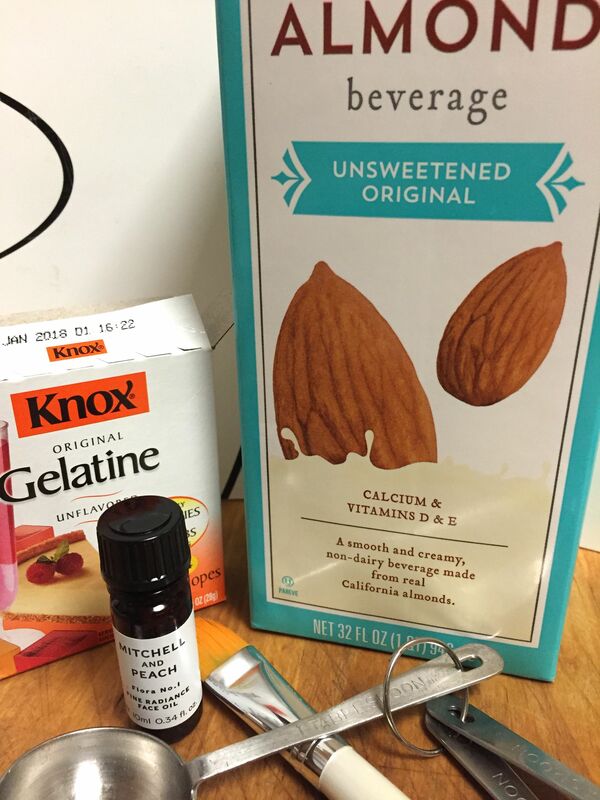 Mix one tablespoon of milk (you can use any kind of milk you want) with one tablespoon (or 1 1/4oz packet) of unflavored gelatin. You can add one drop of essential oil if you’d like. Heat in the microwave about 15-30 seconds; you want it warm but not so hot it burns your face. 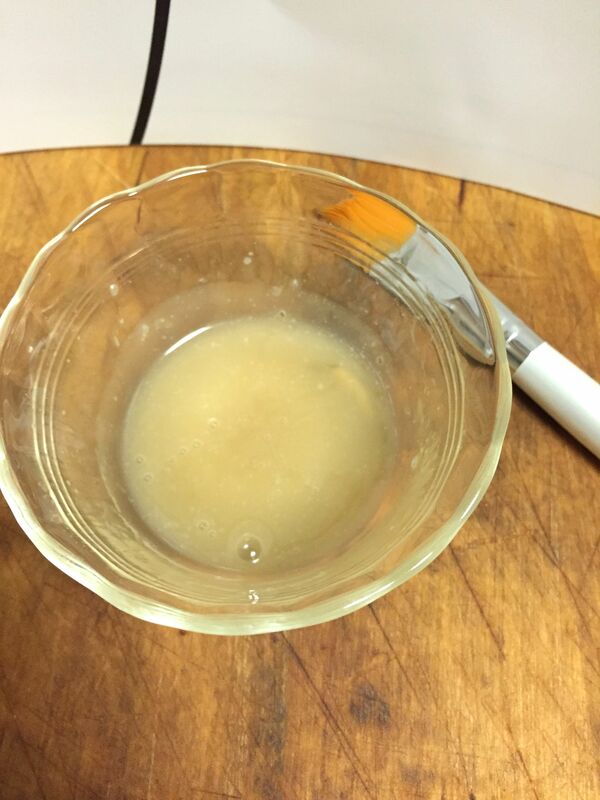 Stir to mix, then use your fingers or a makeup brush to apply it to your face, avoiding your eyes, nose and mouth. You’re also going to want to avoid your hairline – this is sticky sticky stuff. Let it dry for about 15 minutes; it will feel really tight on your face. (Boy that’s a hot look innit?) Starting at the bottom of your face, start peeling it up and off your face. In theory this will all come off in one fell swoop and clear your pores in the process. In practice … this stuff was kind of like glue. 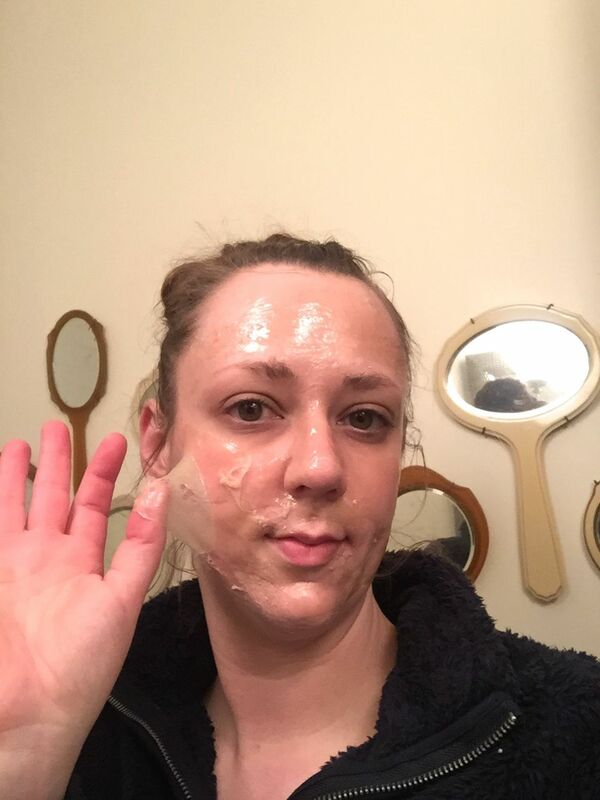 It was difficult to apply, and as I applied it to my face it would peel up other parts of it I had already put down (you can kind of see that under my right eye there). Also, I tried to get a nice edge around my face so it would be easy to get a grip on it and pull it off, but I ended up having to scratch at my face trying to get it to peel up. Peeling it off did not feel cleansing or therapeutic – it kind of honestly hurt, although one silver lining is I don’t think I have any hairs on my upper lip anymore. By the time I got up to my forehead I got impatient with the process and ended up just scrubbing my face with warm water to get all the rest of it off. In the end, I don’t feel like it actually did anything for my pores. There was no visual, visceral aspect of seeing all the stuff it pulled out like with the Bioré strips. This is billed as a cheaper DIY option to Bioré strips, but honestly if that result is what you want – just get a box from your local drugstore! They’re not that expensive unless you’re using them every day, which really isn’t necessary. Pinterest fails are their own Internet category, and sadly I think this has to be added to the mix. It doesn’t make me lose my faith in the site though – there are still some great ideas on there! What are your favorite DIY recipes?